I few notes are in place for those who (like me) are newcomers to this field. 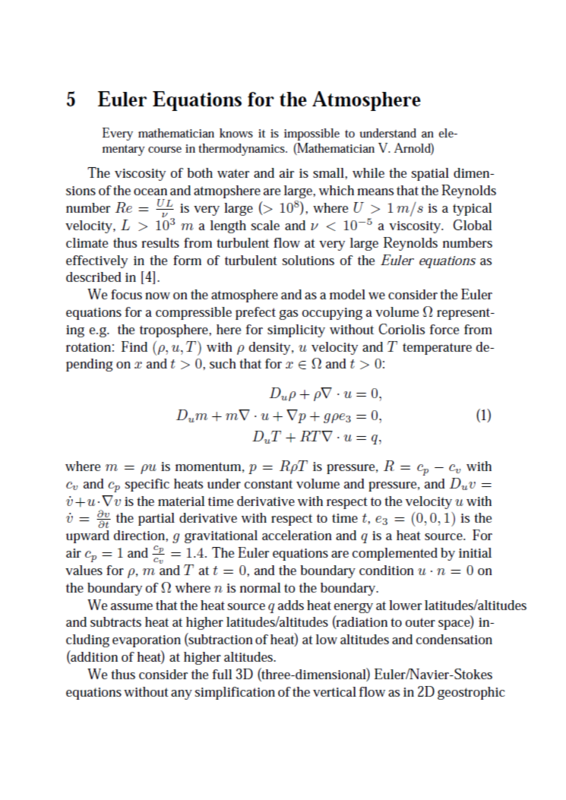 I guess it is essential to consider the compressible Euler/N-S equations, that is, you allow a variable density and solve for the primitive variables (density, velocity, temperature) . The first equation expresses conservation of mass, the second conservation of momentum and the third conservation of energy. Note that thermal conduction and kinetic viscosity are absent here, which may be justified since these are small for air. More important is perhaps the heat source/sink q, which CJ assumes adds energy to the lower layers and removes energy from the top layers. In other words, how you specify the function q(z,t) more or less defines the model. The questions is therefore: How does CJ define this function?